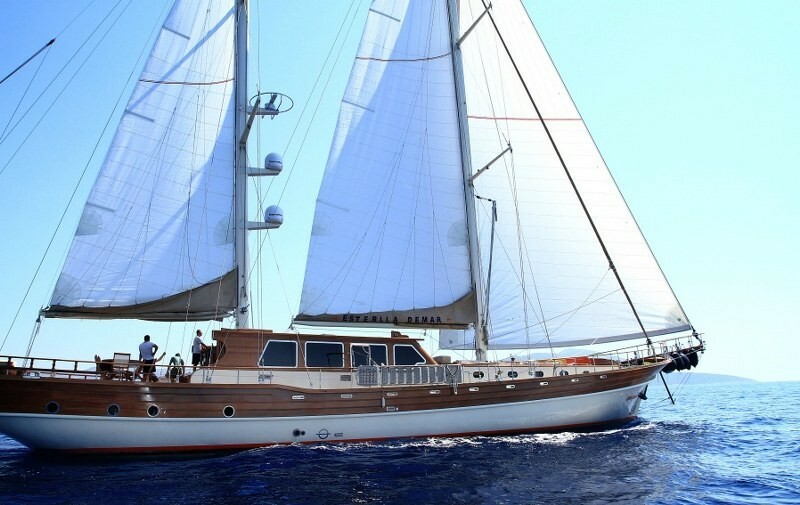 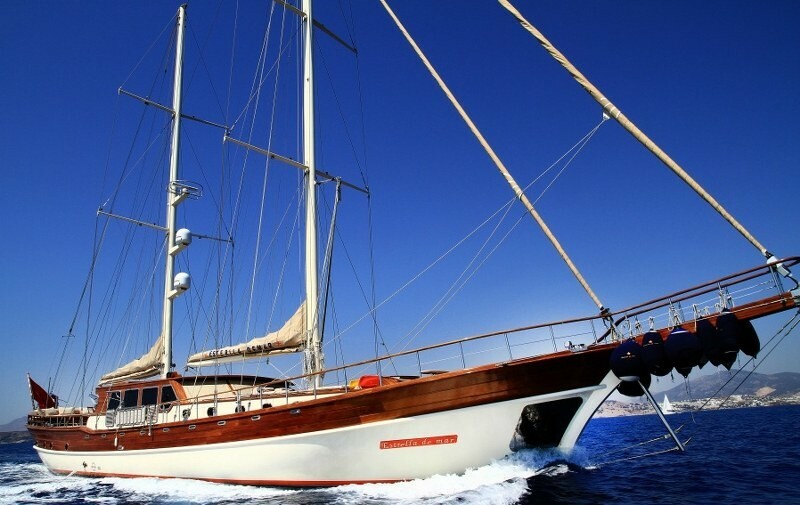 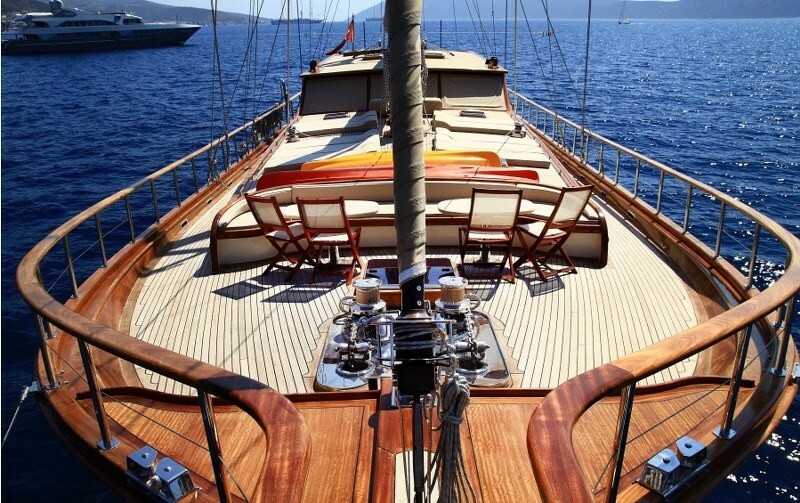 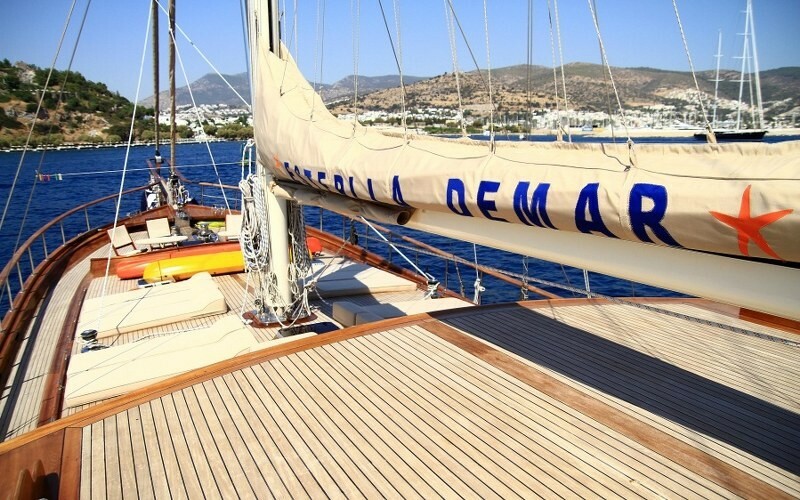 The High Deluxe Estrella De Mar is a finely crafted true classic gulet which embodies the best traditions of wooden Turkish gulets combined with the finest of modern technology, safety and interior design details. 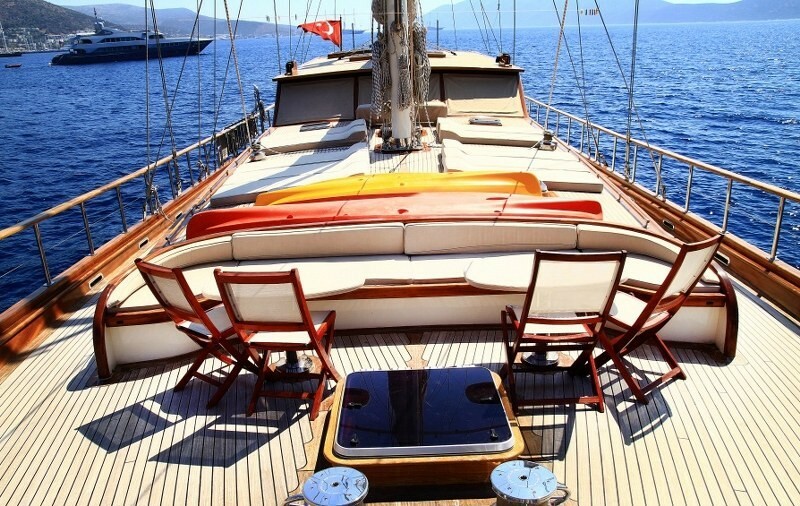 As a yacht rental in Turkey she gives a sumptuously satisfying cruise holiday offering an elegant, comfortable and spacious master cabin, plus two twin and two double bed cabins. 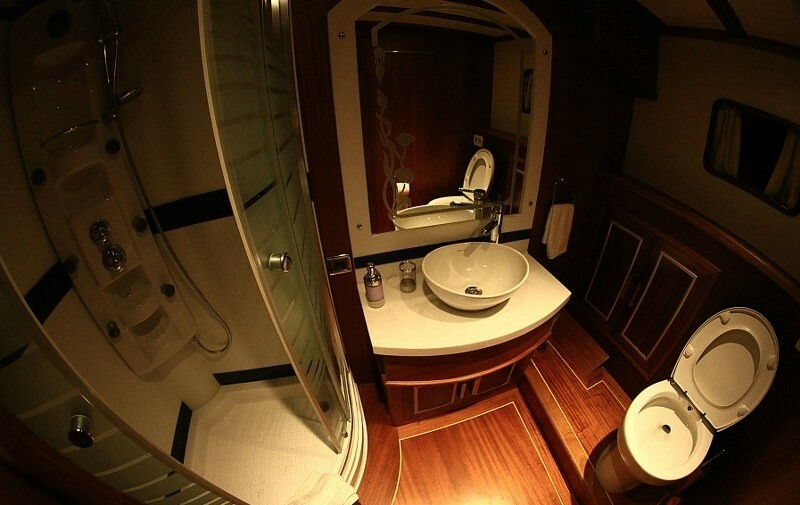 Each cabin on luxury gulet Estrelle De Mar has its own deluxe bathroom with hydro shower cabin, while the master cabin has a separate toilet and washbasin alcove apart from the shower and washbasin bathroom. 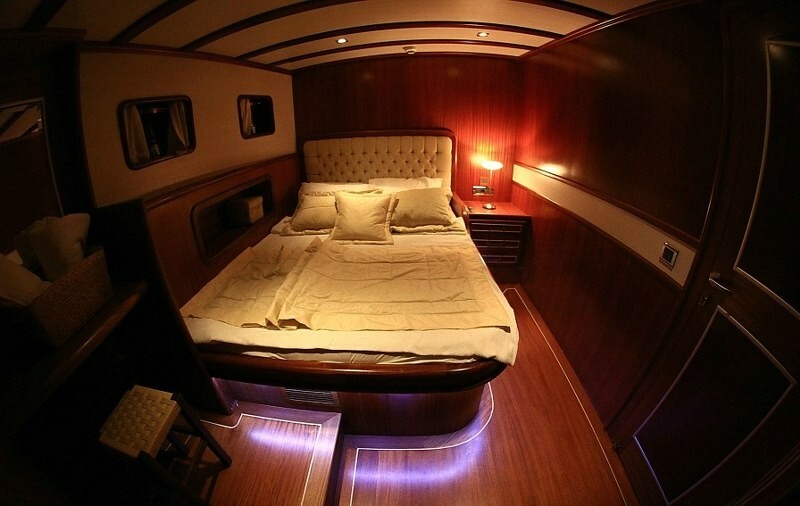 The master cabin offers its own television, vanity table, wardrobes, and storage drawes and own mini safe, and a comfortable love seat to the side. 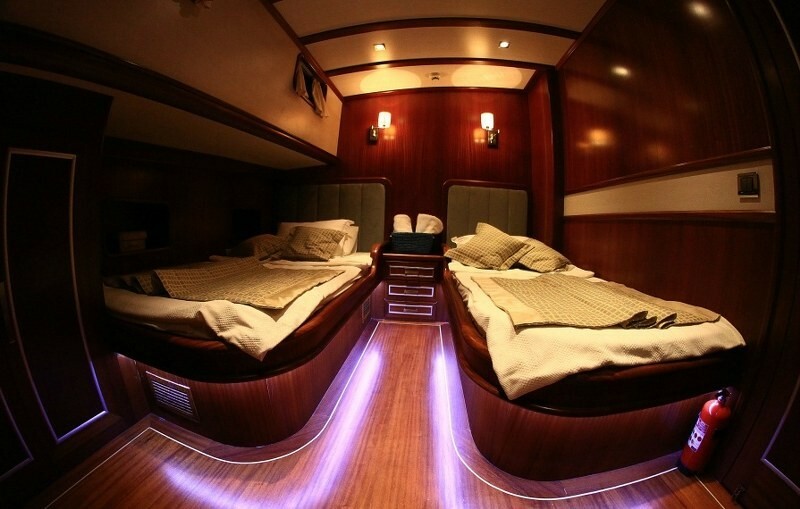 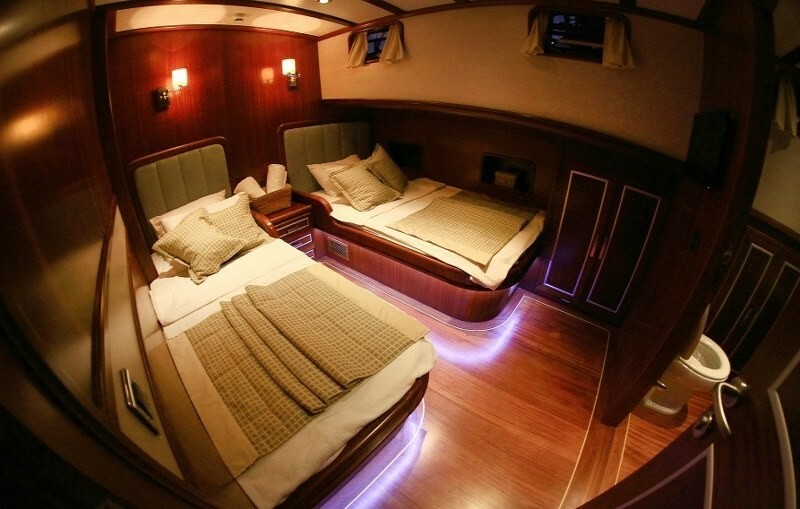 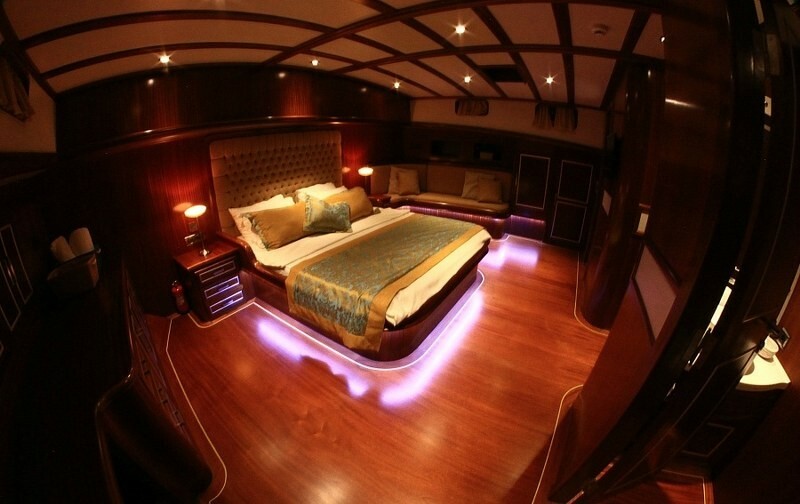 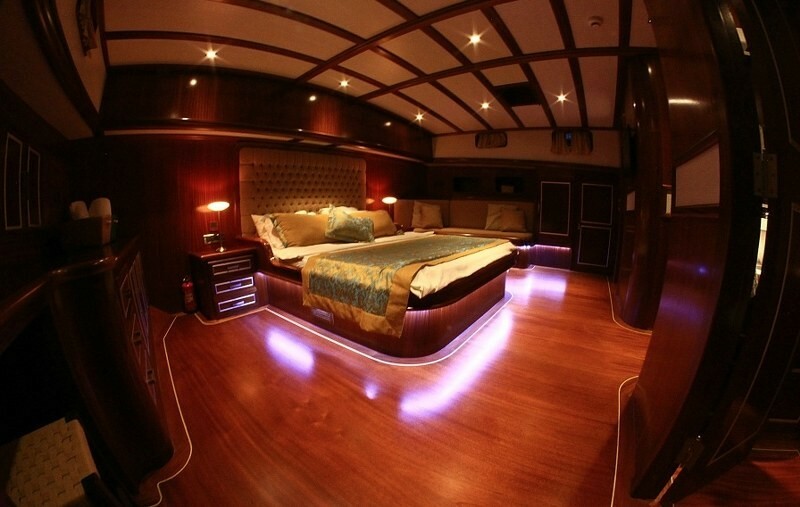 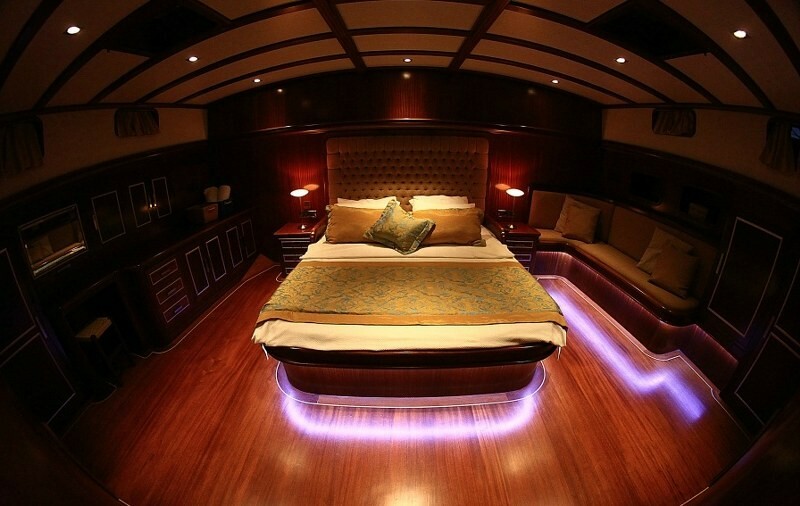 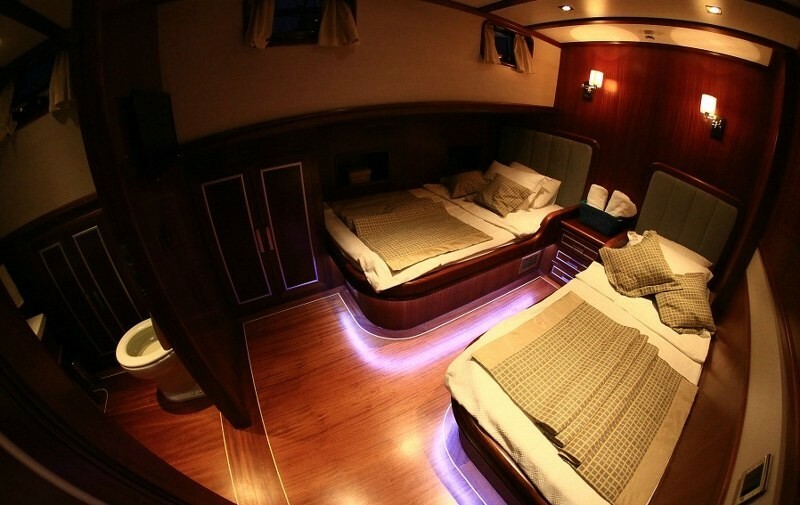 The master cabin and the two twin bed cabins are located forward, while the two comfortable double bed cabins are located aft, making for flexible accommodation arrangements for a group of friends or family of up to ten guests. 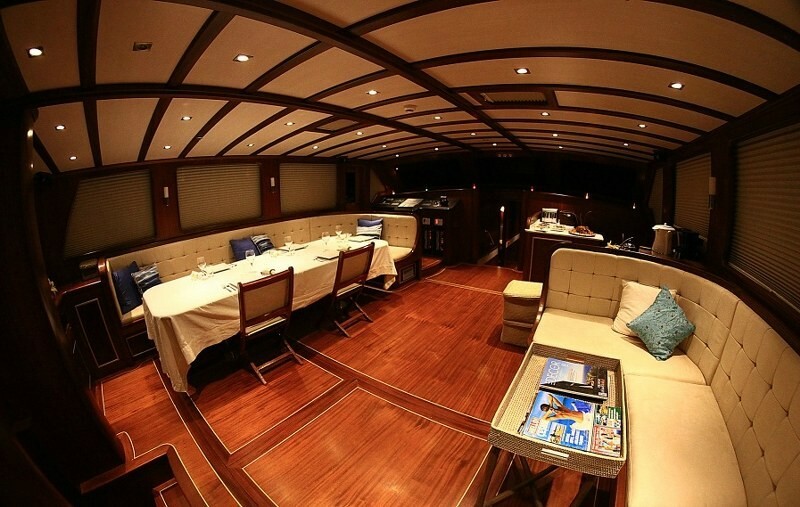 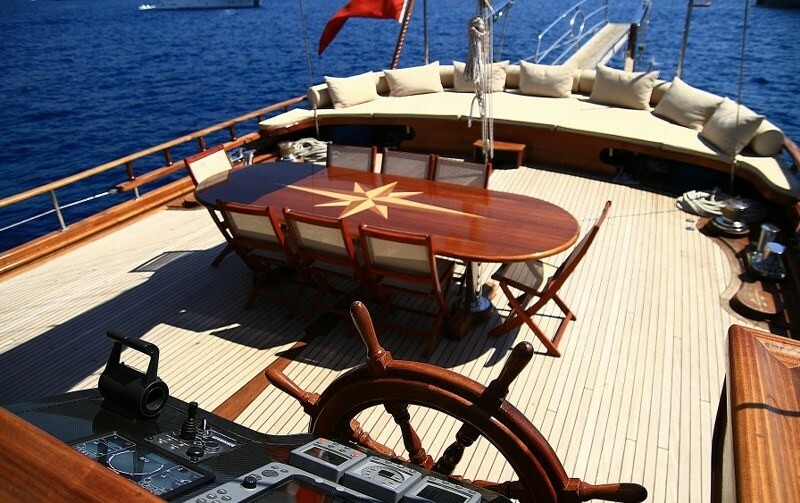 The Turkish yacht Estrelle De Mar’s saloon has a comfortable corner banquette and coffee table ideal for enjoying the full size television and entertainment, and a full table allowing a setting for formal dining. 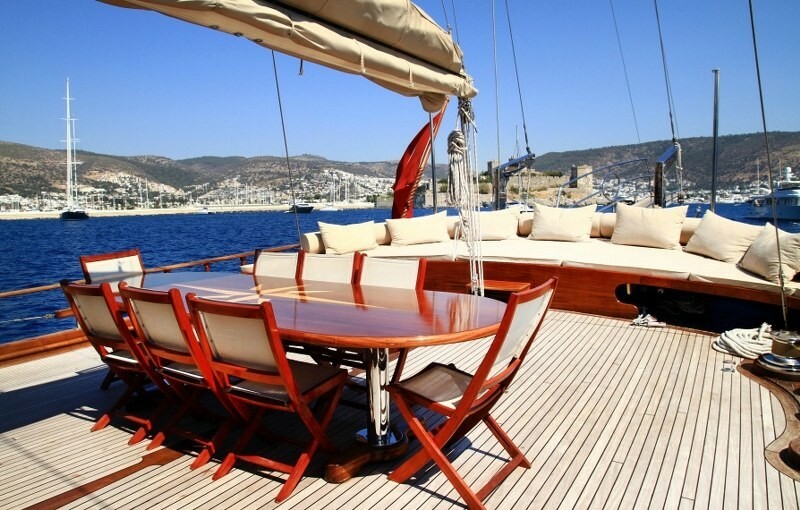 While the aft deck offers al fresco dining as well at the full size table, plus lounging space in the shade on the expanse of cushioned beds curved around the stern. 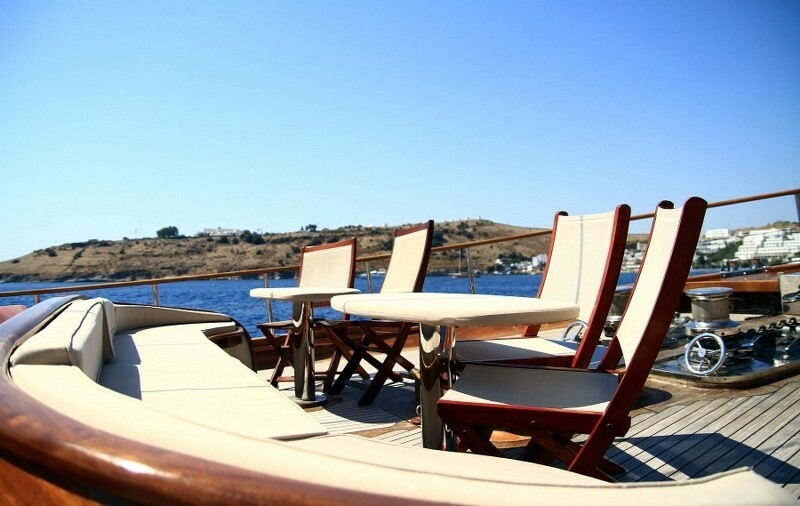 On the foredeck individual sunbeds, deck chairs and the bow bench seat give ample space for relaxing and enjoying the sun and views. 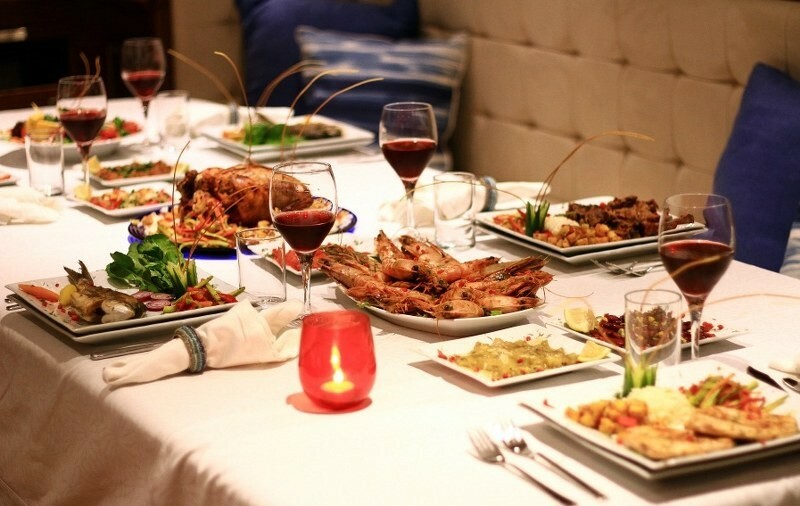 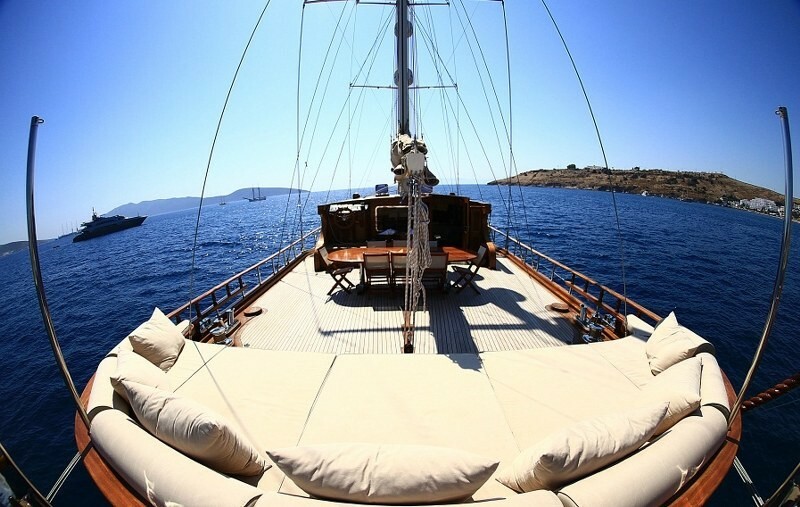 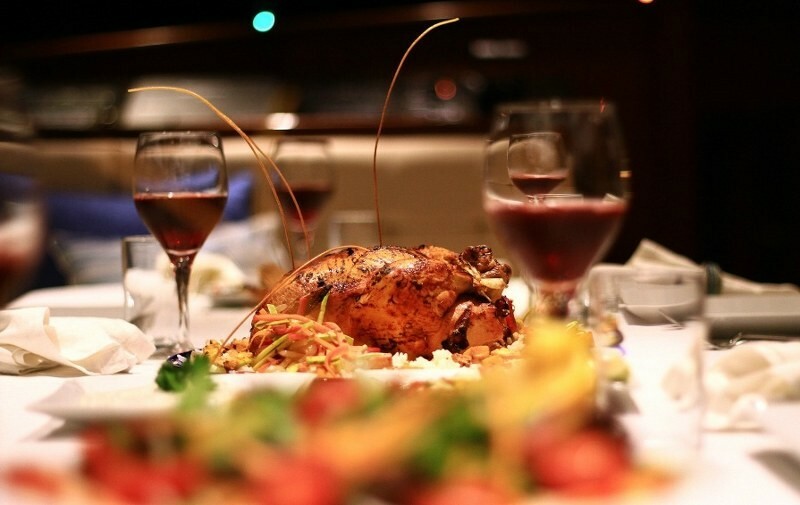 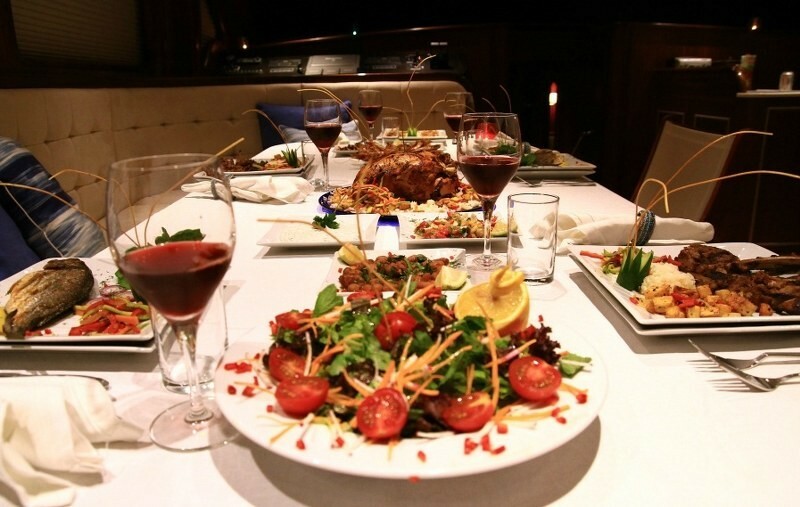 The crew take pride in serving impeccable gourmet meals, as well as in giving exemplary attention to the needs of guests, and maintaining the gulet superbly to show the craftsmanship that went into its construction. 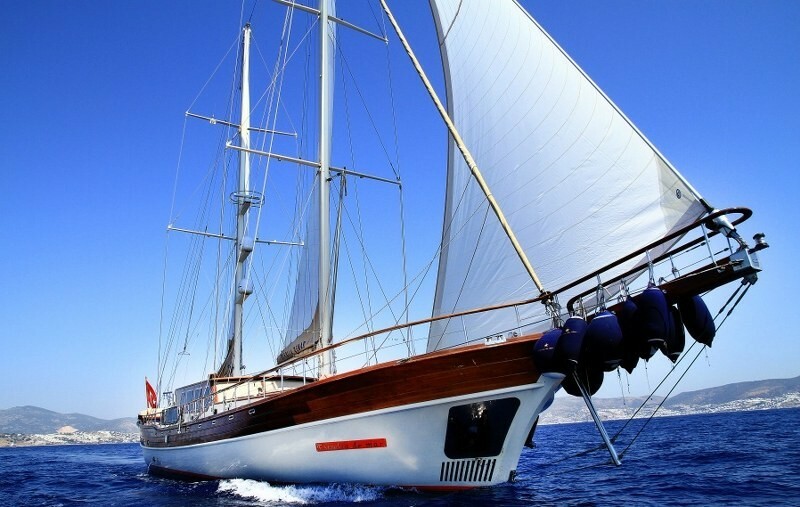 They also enjoy hoisting the sails to give the ultimate sailing gulet experience along the Turkish coast or amongst the nearby Greek Islands of the Dodecanese Group to give a memorable holiday cruise.